"Judging by Appearances" at the Legion of Honor is a rich exhibit of works on paper from the private collection of Joseph and Deborah Goldyne. The artworks have been arranged under broad themes by curator Robert Flynn Johnson, which leads to chance correspondences between disparate artists. 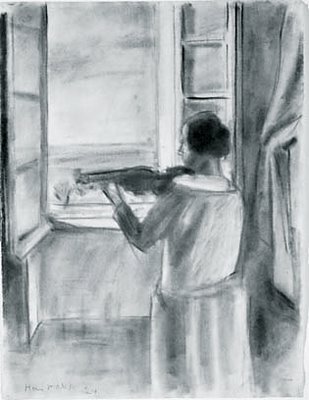 Matisse's luminous charcoal drawing, "La violiniste a la fenêtre", with its silvery light seems apt for the fog shrouded skies above Baker Beach on a typical summer morning in San Francisco. (I imagine a similar view from Robin William's open window as I drive back from the museum through Seacliff towards North Beach.) Hanging nearby is a tiny Rembrandt study, which carries a similar force with the simplest of means. 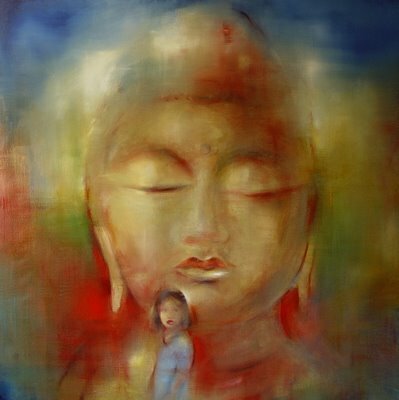 In one of my earliest drawing classes, the Los Angeles artist Tom Wudl looked at my work and said, "It is what you leave out of the drawing that is most important." He didn't mean it as a compliment. In contrast to my early efforts, Matisse and Rembrandt create entire worlds with ink smudges and charcoal smears. 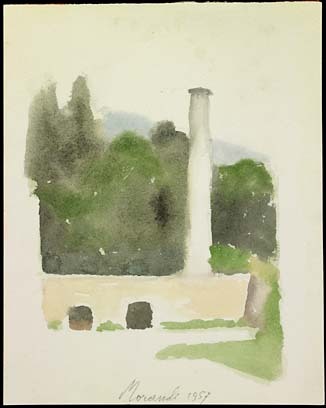 Giorgio Morandi's "Landscape" somehow brings the fragrance of Italy back to me. I really can't explain the watercolor's effect on me. Like the Matisse and the Rembrandt, Morandi's work combines the utmost simplicity with incredible grandeur and presence. A Turner study of the Moselle hangs nearby and it too pulses with color and space, as the work seems to melt into an abstraction of pure light. Unlike many exhibits, the label commentaries in "Judging by Appearances" are well written, witty and opinionated. Both the curator, Robert Flynn Johnson, and the collector, Joseph Goldyne, provide their honest thoughts on the works. And as viewers we seem to be encouraged to join the dialogue and contribute our own thoughts. This is a beautiful exhibition, which should be viewed before it closes on Sunday. Museum staff members promised me that a catalog is in the works and should be in the bookstore any day now. The museum's website provides very little info on the show so the catalog will prove to be indispensable. Byzantine (Constantinople), first half of the 13th century. "Holy Image, Hallowed Ground: Icons From Sinai"
In 2004, the Metropolitan Museum in New York presented an exhibition on Byzantium which included works from St. Catherine's in the Sinai. 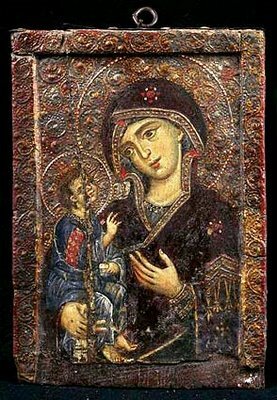 Opening at the Getty Museum on November 14th will be the first exhibition in the United States to focus exclusively on treasures from the Greek Orthodox monastery beneath Mount Sinai in Egypt. 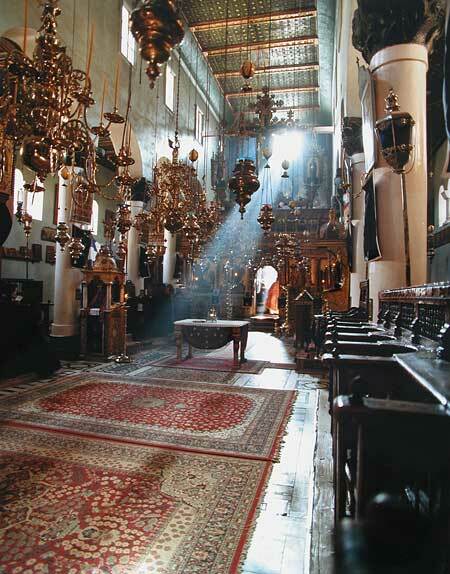 Founded by the Byzantine emperor Justinian in the in the 6th century, The Holy Monastery of St. Catherine, lays claim as the the world's oldest continuously operating Christian monastery. 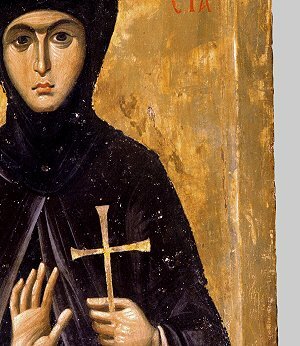 Father Justin Sinaites, librarian at St. Catherine's, in an interview with the Los Angeles Times says that "the works will be installed in a setting designed to illuminate their devotional roles and evoke the ambience of the monastery." 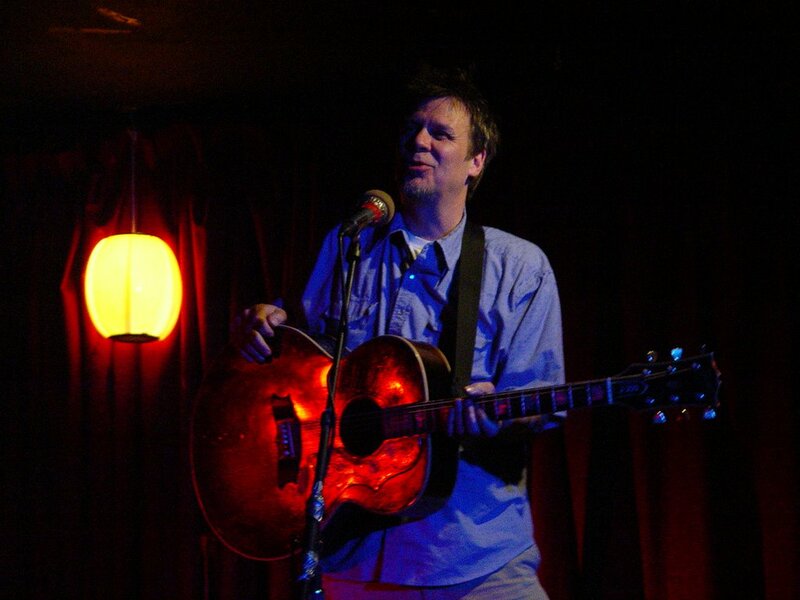 Lucinda Williams has called him the "greatest unknown songwriter in the country." Recently at the Edinburgh Castle in San Francisco, I heard RB Morris play the greatest unreleased song in the country - his post September 11th lament - "Empire Falls". "Empire Falls" is a heartbreaking look at America today. It would fit right in on Neil Young's "Living With War", Pearl Jam's new album, The Dixie Chicks' new collection, Springsteen's current tour and Michael McDermott's glorious upcoming album. Come to the Getty Museum on June 9th and hear it for yourself. Money back guarantee if the song doesn't move you. Well the event is free so no worries there. The Getty describes RB Morris as a "hillbilly beatnik hailing from Knoxville, Tennessee, and a celebrated poet, playwright, and singer-songwriter. His songs reflect a range of musical styles from blues and country to improvisation and spoken word, but what holds them together and gives them their signature is a provocative wit and a sense of melancholy. Morris's rhythmic wordplay turns these contrary tendencies into the best of friends." 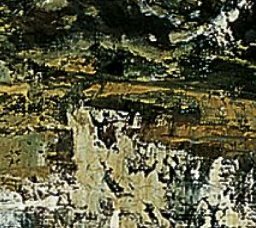 Tyler Green's recent piece on the correspondence between Courbet's paint quality and Gerhard Richter's paint technique, echoes my own recent thoughts. The landscape motifs in many of the works at the recent Courbet exhibition at the Getty in Los Angeles were almost a framework to enable Courbet's paint pyrotechnics. Courbet's paint is dragged, scumbled, rubbed, scraped, ladled on with a palette knife, smeared with rags, and fingers. 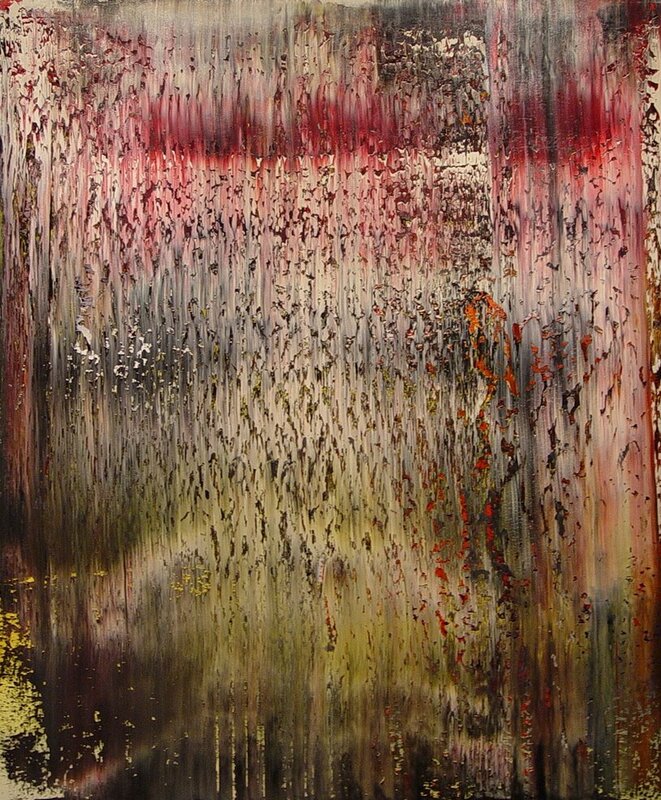 Richter's work is also manipulated on the surface of the canvas while the paint is still wet. 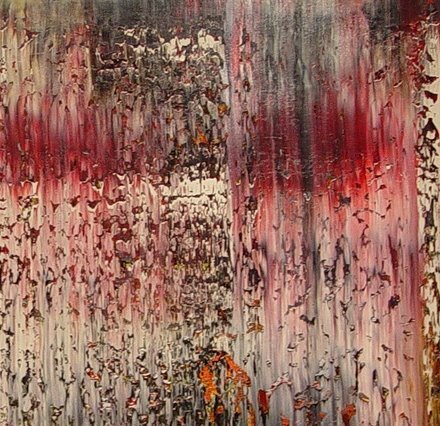 Richter's blurred, squeegeed marks create a new reality and for me evoke thoughts of grottoes, mists and Wagnerian myths. Nagasawa Rosetsu (1754-1799), a Japanese artist featured at the Asian Art Museum in San Francisco in - "Traditions Unbound: Groundbreaking Painters of Eighteenth-Century Kyoto" also actively manipulated the wet paint surface to create images of great depth and mystery. Nagasawa Rosetsu's "Herdboy Playing a Flute" was painted with his fingers, palms and fingernails. The artists of Eighteenth-Century Kyoto referred to this simple yet extraordinary technique as shitoga. Paintings in this expressive manner were often created during a night of poetry and drink. 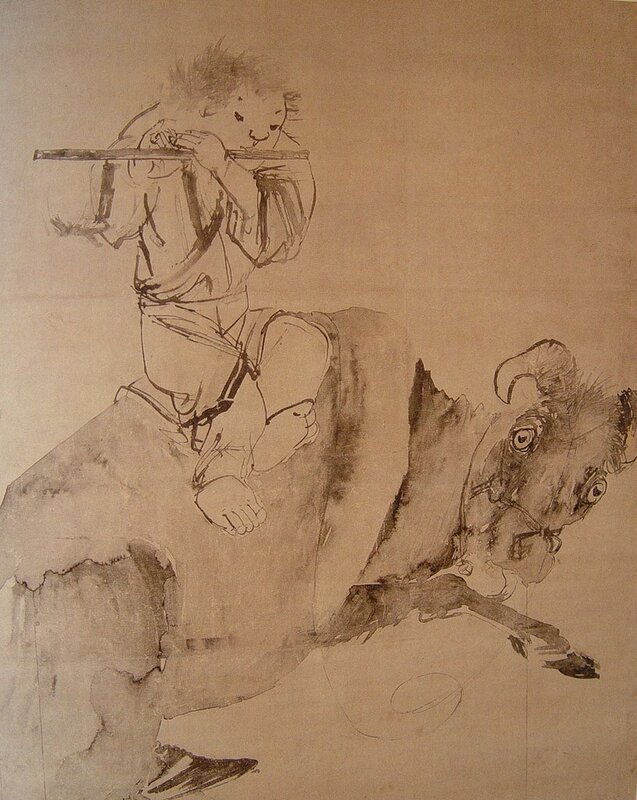 Another painting executed by Rosetsu with his fingers is signed, "suichu mansha Rosetsu shi ga" - (finger painting, haphazardly painted by Rosetsu when drunk). Artists often use their fingers and hands while painting- smearing, blending and stippling the surface of the work. There is a sensual quality to the application of paint that is often ignored in writing about art. 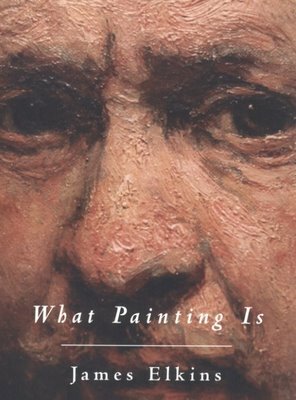 As a painter I find James Elkin's "What Painting Is" to be an important work because of its discussion of the physicality of paint. : the loopy, thick, gooey quality of lead white. The clear mineral glazes of lapis lazuli. The mystery of cinnabar, flying white and dragon's blood. For James Elkins, painting is akin to alchemy. Leonardo da Vinci's "Ginevra de' Benci" may not lead us to the heirs of Jesus and Mary Magdalene but it does provide evidence of Leonardo's own hands blending the wet paint into a rich field of sfumato. 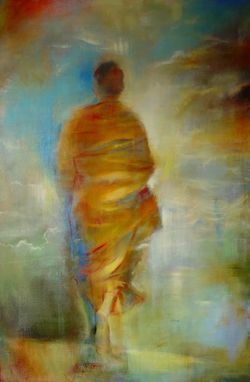 Painters are often like alchemists, as James Elkins describes, or like masons building a thick surface like Courbet's rocky fields, and at times seem to be like Pygmalion creating living pictorial realities out of their own hands. Christopher Knight reports in todays Los Angeles Times that the artist Robert Heinecken has died. Robert Heinecken's photo works took his photography directly into the world. In one of his most memorable artistic actions Robert Heinecken bought numerous copies of a current edition of Time magazine in 1969 and then, after adding his own ani-war images adapted from horrific news photos from the conflict, put them back on the newstand shelves for unsuspecting customers. 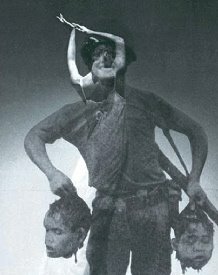 Christopher Knight explains: "The pages of Heinecken's guerrilla "special edition" included superimposed lithographic prints of a recently published photograph showing a smiling soldier holding the decapitated heads of two anonymous Vietnamese youths. The shocking image was repeated indiscriminately over fashion advertisements and editorial news copy throughout the magazines. Between 1969 and 1994, he made 37 editions of variously collaged and overprinted magazines." Robert Heinecken created meaningful work that expressed his own outrage at the injustices being waged during an unpopular war. 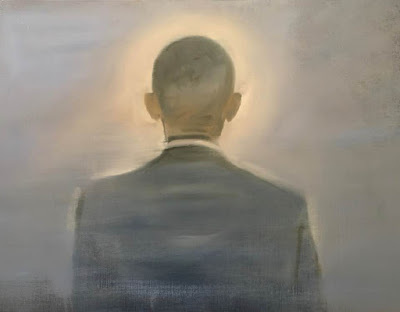 We need him now and will miss him. My painting, "October Off Ocean Park" was painted in a series of starts, stops and absences. Major compositional elements were scraped down or painted over. I worked on the painting over a series of months then years. My artistic engagement with the work of Richard Diebenkorn helped me finish the piece. I knew I wanted to get the light of a Santa Monica evening into the work. But I wasn't quite sure how to pull it off. Not long ago I moved into a studio at the Santa Monica Airport, literally off Ocean Park Boulevard. I could walk out the door and see that evening light filtered through my memories of Diebenkorn's Ocean Park series. 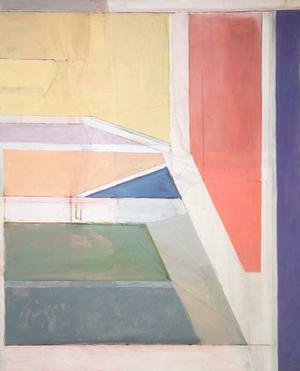 In Richard Diebenkorn's last years he moved back to Northern California from Los Angeles. Polar places of existence for many in the west. In Diebenkorn's work there is a difference in the light quality between the Ocean Park paintings created in Southern California and the more gestural and thicker pigmented works done in Northern California. It is too simplistic to ascribe these differences as solely about place. But I also find that my quality of vision differs as I view my paintings in these polar lights. Color seems to be more present, and perhaps more important, in my Southern California work. And space becomes expansive in my Southern California paintings as well. In San Francisco, the fog and the vertiginous landscape pull me close to the source. 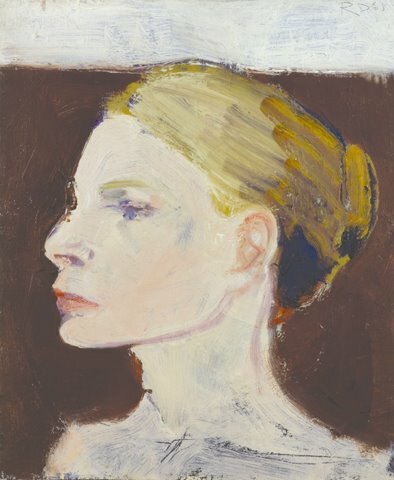 As his health failed, Diebenkorn painted less but continued to create etchings at Crown Point Press in San Francisco. One morning on a walk from my Market Street loft, with a book by Robert Hughes in hand, I spotted Richard Diebenkorn leaning up against a BART entrance watching the cable car turnaround across Market Street. He was captivated by the movement of the conductors as they spun the car around on a giant wooden turntable. I stopped, leaned up against a wall, and flipped through Robert Hughes' "Nothing If Not Critical" until I reached his essay on Diebenkorn. I read slowly, pausing often to gaze up at Diebenkorn as he gazed at the forms moving across Powell Street. Eventually, I closed the book, walked over and thanked Richard Diebenkorn for his art and inspiration. He smiled and tears seemed to well up in his eyes, as he said "Thank you. I am glad that my work inspires you. Is your studio nearby?" I nodded and tried to say something "about the interplay between figuration and abstraction in his work." Diebenkorn was frail at this point and seemed to know that he didn't have much longer to live. I didn't want to take him away from his moment alone in the morning light on Market Street. I thanked him again and moved on. Richard Diebenkorn died soon after in 1993. The thought of Diebenkorn and his work is often with me. *On May 12 at 6:00 p.m. at the new de Young Museum in San Francisco, Kathan Brown, Founding Director of Crown Point Press, will detail thirteen "magical secrets" about thinking creatively that she learned from working with artists in the etching studio over the past forty-four years. As part of the program Kathan Brown will play a videotape of Richard Diebenkorn working in the Crown Point Press Studios. Konstantin Bojanov, an art fabricator, at work on Richard Jackson's "The Pink Empire" . "As art with high production values has become increasingly common, the role of the artist has evolved into something closer to that of a film director who supervises a large crew of specialists to realize his or her vision." Mia Fineman's New York Times article on contemporary art fabrication is well worth the read: "Looks Brilliant on Paper. But Who, Exactly, Is Going to Make It?" In today's Los Angeles Times, Steve Lopez describes the predicament of Lee Sevilla. 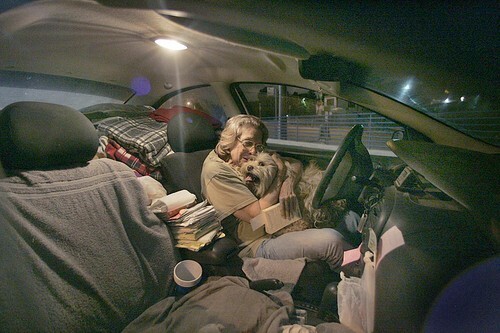 An emerging artist at 71, Lee Sevilla spends the nights overlooking the Pacific Ocean, sleeping in her car with her dog Sandy. 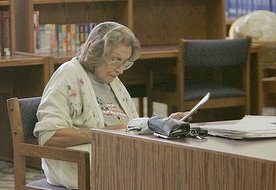 The hours after work are spent at a local public library, where Ms. Sevilla works on her drawings hoping to scrape together a few more dollars to aid her living situation. Steve Lopez writes, "About 10 years ago, Lee Sevilla answered a lifelong dream, got a student loan and took a few art classes at UCLA. I discovered I've got a gift," she said, proudly showing me her pencil sketches of wildlife and domestic animals. "If only I could figure out how to make something happen with it now. I seem to be in a rut there too." "She's an amazing woman, and so talented," said Roz Templin, a library assistant who, along with her colleague Kimberlee Carter, is trying to arrange an exhibit of Sevilla's work at the El Segundo Public Library. P.O. Box 5484, Playa del Rey, CA 90296. Her current prices range from $60 to $20. For the immigrant Chinese community, San Francisco was known as Gum Saan - "Gold Mountain" - a place of freedom and prosperity. 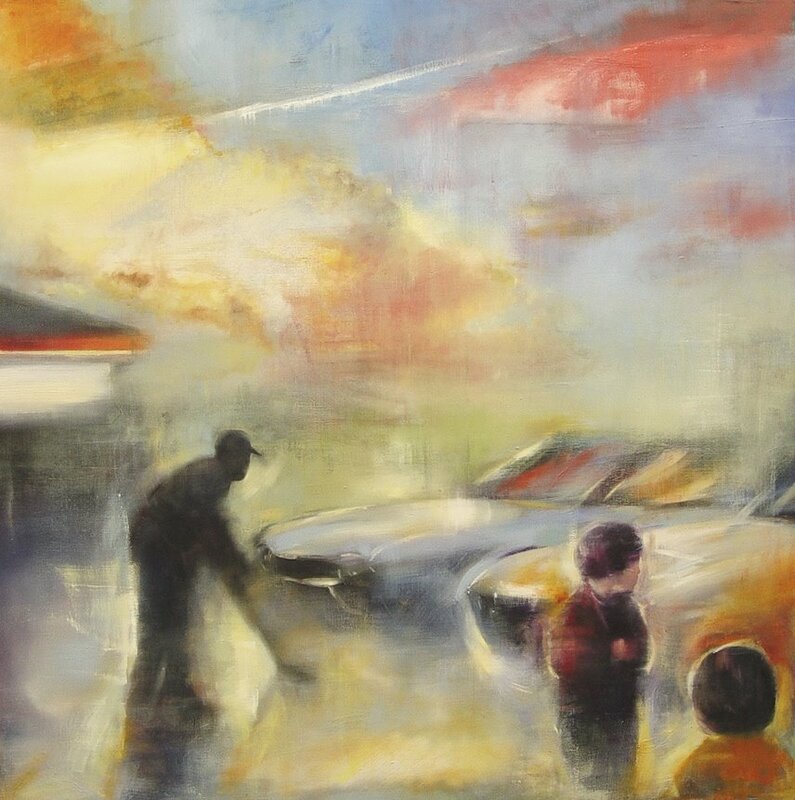 This new painting, is in part a visual poem on new Chinese immigrants coming to America. Many of these new immigrants are young girls adopted from China into American families. What will their stories be?